Have you ever tried to read an article on the internet, only to be distracted by the ads, the imbedded videos, and extraneous links that will take you off of the article to another site? Well, you’re not the only one. For many users, reading anything off the internet can be overwhelming. Some may require a more streamlined approach. 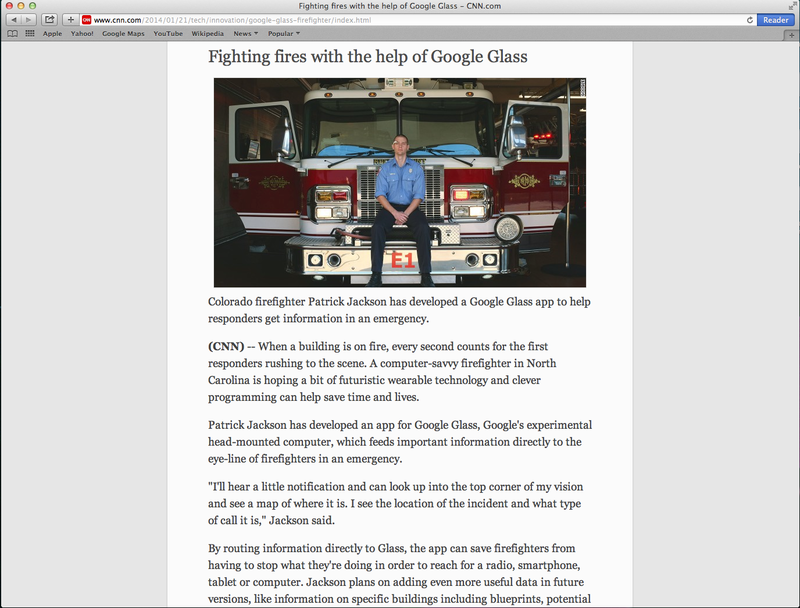 If you highlight the text, the built-in text-to-speech feature will work within Reader as well. 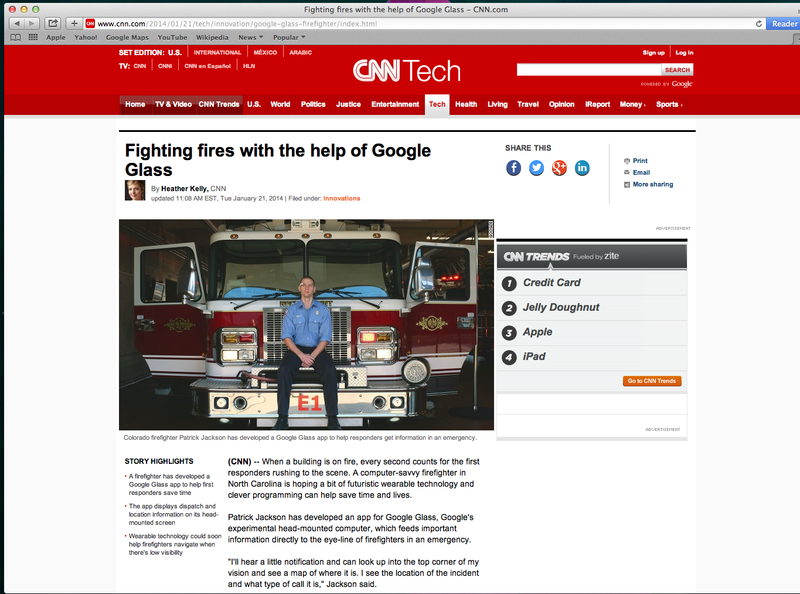 There is also an option to enlarge the text, which can help students with visual impairments. (Or older folks like me that are refusing to get reading glasses). The other great tool is that this page can be saved as a PDF Document by selecting “File- Print”. This is great because students can then use the PDF file that’s been created to annotate, highlight, take notes, and have the text read to them all within Preview. 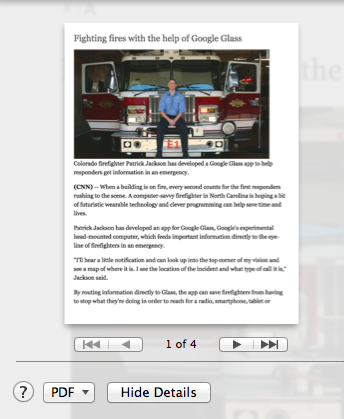 There is also a Reader feature in IOS Devices as well and works in the same manner. Check it out here on Cult of Mac! It has been quite a while since I’ve posted. The start to the school year has been extremely busy, as I had to suddenly shift roles and go back in the classroom part time to co-teach in our Developmental Learning Center. It’s allowed me to spend some extra quality teaching time with some of my favorite kiddos! Earlier this month, we had the honor of welcoming Dr. Kathleen Whitbread to our district to train staff in literacy instruction for students with significant disabilities. What came out of this training, for us, was validating and supports building the foundational skills in the 5 areas of literacy instruction. Mutli-sensory instruction for many of our students with significant disabilities has been shown to improve student learning outcomes in these aforementioned areas. In our line of work, the primary focus is around the area of Phonemic Awareness. From what we learned from Dr. Whitbread, Phonemic Awareness is one of the areas that children with significant disabilities struggle with There are a plethora of apps that support and reinforce these skills for students. So, with the information that was gleaned from Dr. Whitbread’s talk earlier this month, I have a list of my favorite Apps to Boost Phonemic Awareness. Word Wizard is a talking movable alphabet that allows children to see and hear the letters and sounds as they spell words. By dragging each letter onto the board, children are receiving constant feedback about either the letter name or sound, which can be customized within the app settings. Children can build words or sentences and have the app read them back. It’s a great multi-sensory tool to boost phonemic awareness. Reading Raven for iPad is one of the most comprehensive apps that not only work on phonemic awareness skills, it takes the child through the stages of early literacy in a fun and engaging manner. While the app is equally engaging and reinforcing, it will be important for teachers and parents to observe their child while interacting with the app to measure knowledge and advancement. The characters in the app itself are engaging, and having Reading Raven alongside the journey of learning is equally comforting and reinforcing. Overall, it’s a sound app that’s packed with a wealth of learning for young children. Lexia Reading is the app counterpart to the popular computer-based literacy intervention that’s been proven to work with children with a variety of learning challenges. Lexia is based on the 5 components that are central to reading instruction, and provides teachers with detailed progress reporting via their online module. Support materials for teachers and parents are also contained within the teacher module, which help to reinforce identified areas of strengths and weaknesses based on student performance within the app. 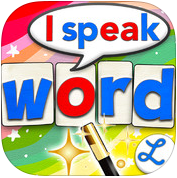 Montessori Crosswords is similar to Word Wizard in that it is a talking movable alphabet. However, Montessori Crosswords is more foundational in that it provides structured phonemic awareness instruction by starting with helping children to understand that words are made up of sounds or phonemes. For each word, children can touch the empty rectangles where letters must be dragged to complete the word, and hear the sound the corresponding letter produces. 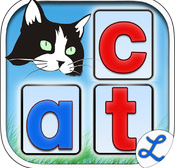 Furthermore, the app helps children memorize the phonics associated with letters by providing a phonics-enabled alphabet where kids can touch each letter and hear the associated sound(s). Starfall ABC’s helps boost phonemic awareness in allowing children to explore the letters of the alphabet while learning about the corresponding sound of the alphabet. While this is not as comprehensive as the Starfall.com website, it offers a great way for children to become exposed to the alphabet and sounds. Providing children with multi-sensory opportunities to learn and explore that they can also access is integral to their learning. The advent of tablet technology affords children to explore and learn in an independent manner, while teachers are able to assess and monitor progress. Dr. Whitbread tells us to persevere. When it appears that children are not learning or making progress in terms of phonemic awareness, don’t give up. They may just need more time and practice. The following list is definitely not a be all, end all for apps, but these 5 apps are powerful sharing, creation, and assessment tools for teachers. Plus, they’re free! Dropbox is one of the best cloud-based file storage and sharing systems out there. WIth the ability to install Dropbox on any computer or mobile device, Dropbox uses the cloud to store files and pictures. Set up a free account and have 2GB of free storage- which is quite a bit for files. Also, Dropbox is great to share files to others via e-mail that may be too large to send as attachments. It’s versatile, multi-platform, easy to set up and use. 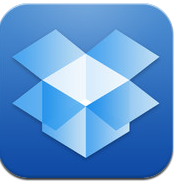 Teachers could use dropbox by having students send their work to the teacher’s dropbox. Or they could set up their own Dropbox account and share the assignment (file) to their teacher via e-mail. Teachers could then download the work, mark it, and share back to the student. I use Dropbox all the time for files that I want to use between devices or need access to on multiple devices. It has been a lifesaver in keeping me organized for school and work. 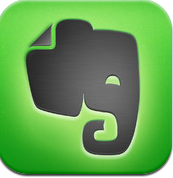 Evernote is another cloud-based app that can be installed on any computer or mobile device. It offers the same syncing features as Dropbox, but for notes that are taken within the app. However, Evernote is more than just a note taking app. Users can add photos and record audio to create a multi-media note that can be shared and/or viewed on any computer or device that it’s synced to. There are a multitude of practical applications for Evernote in the classroom. Create a notebook for each student and upload students work to their notebook for a digital portfolio. Use the audio recording feature to record reading fluency. Take a picture of the student reading the book, and have the student answer questions by typing or recording their answers right in the app. Lastly, teachers can also use Evernote to observe the learning environment by taking pictures of students in group work, record observations by typing into the app, and record audio of students engaged in dialogue. There is not limit to the uses of Evernote in the classroom. I use Evernote for evaluations, as well as for taking notes in meetings and observations. It’s great to be able to go to another device and have the note right there where I can access it when I need to. Haiku Deck for iPad is an app to create visual presentations. 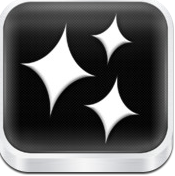 Select a theme, insert photos and text- viola! A presentation that can be shared via e-mail, Facebook, or Twitter. The interface is simple to use, and there is enough variety within the app to make a spectacular presentation. Teachers could use Haiku Deck with their students for projects, for book reports, to show mathematical processes and thinking, science experiments, all about me activities, and more. 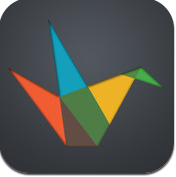 It’s up to the user’s imagination, really on how to incorporate Haiku Deck into the learning environment. I used Haiku Deck to make a presentation of my learnings from a recent conference, then shared it with others. It was a visually powerful way to demonstrate understanding- which could be done with students as well. Videolicious is a super easy way to narrate photographs. In the free version, there is a 10 photograph limit, but I don’t see that as a negative. Record as you swipe the picture, and it all syncs together so seamlessly! There’s no timing to worry about, no cues other than your swiping the picture into the narration frame. Once the narration is complete, it’s a slick video slide show with crisp narration and music. Teachers could use Videolicious for lessons, but for student use in an infinite number of ways. Students could narrate about themselves, or about their cumulative artwork for a “Virtual Art Gallery” walk that can be shared with parents. Tiny Tap allows teachers to make interactive games for students. First, select the pictures you want to use. Then, record your questions by tapping on each picture and then tapping the record button. Then select the portion of the picture that’s your answer. It’s that simple! Not sure what to make? Check out their store for free and paid games that are available for download. The potential for this app is intriguing, particularly for Early Childhood, Dual Language Learners, and for students Autism. For any student that is working on vocabulary identification, this is a great app to use! What a fun and engaging way to teach concepts from the natural environment (i.e. familiar objects). While I haven’t tried this one yet, I’m eager to share this app with others. October 11-12, 2012 marked the 25th annual ACTEM conference in Augusta, Maine. 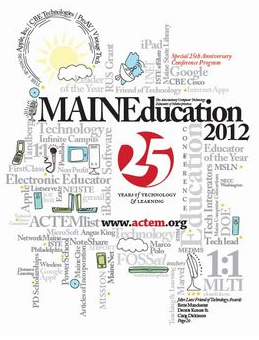 ACTEM is the Association of Computer Technology Educators in Maine. The sessions were varied, but the theme was the same- leveraging technology in schools to improve student learning outcomes. Overall, I found the conference to be a great experience. I particularly enjoyed Christopher Tully‘s talk on Thursday, where he spoke of the importance of creating classroom cultures that show students that learning is fun. This is something that I fundamentally believe in. Learning can, is, and should be fun. Technology can help in a lot of ways. Students can show mastery of concepts via multimedia presentations, for example, which can connect to real-world experiences. I found the below video from Wired Educator, and it speaks rather nicely to the themes Chris was speaking of at the session. The other highlight was Friday’s Keynote speaker. David Warlick, who I follow on Twitter, was our featured speaker. He is equally witty and curious about how technology can influence and positively impact our students. He spoke of many things that were reminiscent of Tully’s earlier workshop session, but he also spoke of the relevance of gaming in education. However, what was happening behind the scenes was what I found to be really interesting. As he was speaking, people (including myself) were actively tweeting themes, ideas, and parts of David’s speech that resonated with them. Not only that, but they were connecting what he was saying with their own practice. So, if David wanted to see if participants were understanding his message, a cool way to do that would be to look at the posts from Twitter about his presentation. Here’s what he thinks of us techies and teachers in Maine-which is wicked cool. The session was well-attended, and I hope that participants got a lot out of it. However, during the whole time at ACTEM, I just kept thinking that it would be great if more teachers came to events like this.